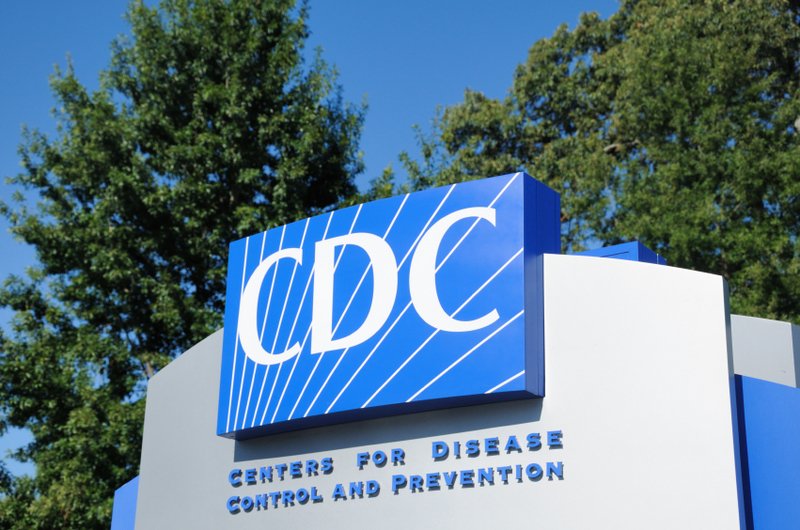 The Center for Disease Control and Prevention, AKA the CDC, America's central medical laboratory has recently had multiple problematic episodes. I was trying to follow up on the vials of smallpox virus that were found in an old refrigerator that the FDA apparently had forgotten, The question, of course, was whether the virus samples were long dead or still viable. They had been sent to the CDC to have that highly significant issue resolved. 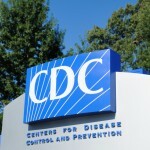 Since then there has been a followup announcement, but also several articles on significant issues with procedures and safety at the CDC itself. The first was published in The New York Times, AKA NYT, (as well as in other papers, but I get the NYT daily on my iPad , so saw it there first). The startling title was "C.D.C. Closes Anthrax and Flu Labs after Accidents." The current director of the CDC, Dr. Thomas Frieden, called the lab/agency "the reference laboratory to the world," but admitted there had been a series of accidents (actually lapses in set safety procedures), in the recent past, that were quite frightening. 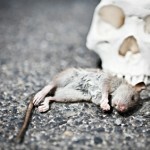 A month ago potentially infectious samples of anthrax, a bacteria found naturally in soil and commonly affecting wild and domesticated animals worldwide, causing an extremely serious, but rare illness in people, were sent to labs that were not equipped to deal with them (anthrax would normally be handled only with the highest level of protective biosafety gear and procedures (BSL-4). The CDC also has a rather simplistic YouTube video discussing anthrax's use as a potential bioterrorism weapon, but in this case 62 or more CDC employees were potentially exposed to the bacteria in the course of their work. The good news is it appeared nobody was in danger; all those employees were given the anthrax vaccine and also begun on antibiotics. The background information available online says there has never been person to person spread of the disease. It appears that it's exceedingly tough to get rid of anthrax in the environment; I'll go over the classic historical example of how careful government researchers have been with its spores.. In the 1940s, British scientists used a small Scottish island (Gruinard) for germ warfare research. That island, thoroughly contaminated with anthrax spores, remained off-limits for forty+ years before extraordinary efforts, begun in 1986, rendered it safe for ordinary use. The surface of the island was only 484 acres; it was sprayed with a herbicide, then all dead vegetation was burned off. Next 200 tons of formaldehyde solution was diluted in 2,000 tons of seawater and sprayed over the entire island. Perforated tubing was used to ensure that 50 liters of solution were applied to every square meter being treated. Later the effectiveness of the decontamination process was assessed by taking two duplicate sets of soil samples. Each was tested at two major government labs. 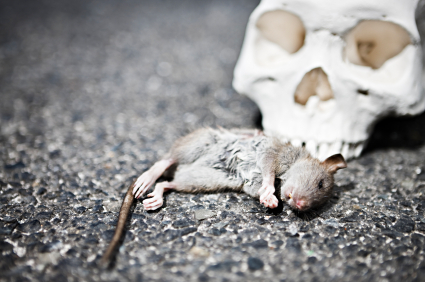 Anthrax spores were detected only in "small quantities in a few places." These specific areas were treated in July 1987, followed by further soil sampling in October 1987. No further traces of anthrax spores were found. Blood samples from local rabbits were also tested for anthrax antibodies. No such antibodies were found. Following these measures, a farmer grazed part of his flock of sheep on the island for six months. The sheep were inspected monthly by the District Veterinary Officer, and returned to the mainland in October 1987 in excellent condition. On April 24, 1990, 4 years after the decontamination works had been completed, a Defense Minister visited the island and removed the safety signs, indicating that the island had finally been rendered safe. Then, per agreement the island was sold back to the heirs of the original owner for the WWII sale price of £500. 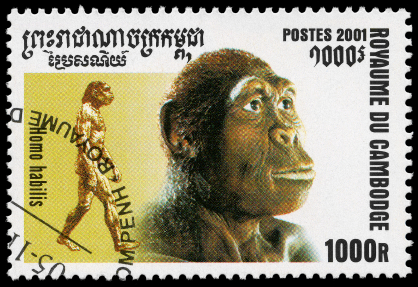 But a senior British archeologist said he still wouldn't set foot on the island; he was concerned because of potentially infectious particles found in some of his digs. Yet another NYT piece, "Ticking Viral Bombs, Left in Boxes," this one written by a distinguished physician, Lawrence K. Altman, M.D. recalls the irony of the outcry for mass smallpox vaccination of our entire U.S. population after 9-11 (when no Iraqi supply of the deadly bacterium was ever located), contrasted with the recent finding of six vials, two with live smallpox bugs, being found in in Bethesda, almost within "spitting distance" of our center of government. Dr. Altman discusses the pros and cons of eradicating the last two known stocks of the virus, one at the CDC, the other in a Russian lab in Siberia. Even if the natural virus is finally and totally eliminated , a rogue group may well be able to re-establish their own supply from the known genetic sequence of smallpox. Lastly I saw a NYT article with an even more disturbing title, "After Lapses, C.D.C. Admits a Lax Culture at Labs." CDC workers had somehow shipped a dangerous strain of avian influenza to a poultry research lab run by the Department of Agriculture. Known as H5N1, the virus had killed more than half of the 650 people who had been infected with it since 2003. Again there were no deaths from this mistake. After all of this recent furor plus the historical examples, I'm heartily in favor of the idea that's been broached saying such dangerous organisms should be confined to a minimal number of labs and even those clearly need to tighten up their standards. Coughs, colds and flu Part 2: what's new with flu? Like we always do, we got our flu shots early, this year on the day after they first became available. Several friends said they were going to wait a few months; I'm always concerned that the supply of vaccine will be gone by then and as former Air Force medical staff, we got in the habit of being told, "It's time for your flu shot." 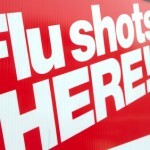 Our timing was excellent; flu struck earlier than usual (it typically peaks in February). And the New York State Department of Health agreed that the best time to get a flu shot is as soon as the vaccine is available. 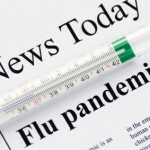 This is a bad flu season with not only an early peak in case numbers, but also an unusual virus. 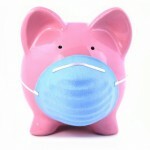 I looked at the flu primer, updated for the 2012-2013 season, by arstechnica, a technology news and information website. 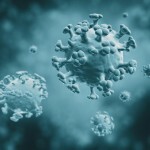 The influenza virus has an outer layer of proteins around its genetic material core; the specific proteins of the coating determine what kind of cells the flu bug can attach to and therefore infect (they also act as chemicals that our immune system can react to), while the inside core lets the virus take over the cell and make new viral particles. The most important proteins in the outside coating are called hemagglutinin (H) and neuraminidase (N); there are a variety of each with the CDC saying there are 16 different Hs and 9 Ns. 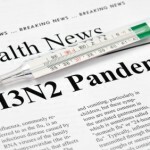 Three variants, H1N1, H1N3 and H3N2, are currently infecting humans while the highly pathogenic H5N1 avian flu was of major concern in recent years. 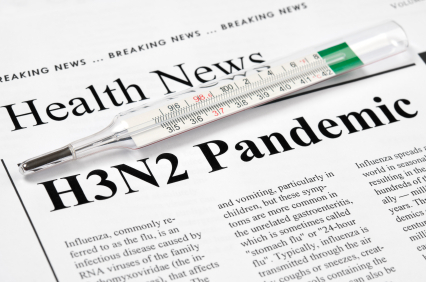 As of January 5th, 2013, the influenza A H3N2 virus was the predominant strain causing flu in the United States. 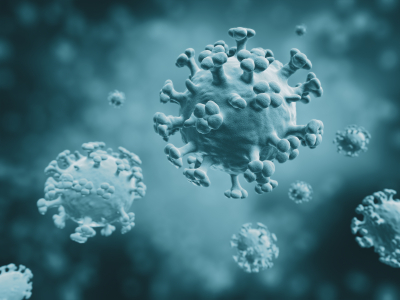 There are three types of influenza viruses, logically enough labeled types A, B and C. Type A can affect both humans and some animals and is responsible for the largest and most widespread outbreaks termed pandemics. Type B only occurs in people and usually is responsible for less severe reactions; it is not classified by subtypes and isn't responsible for pandemics. 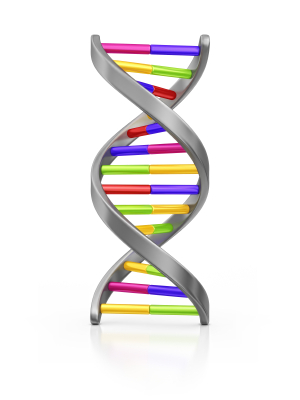 Type C, also only a human strain, doesn't cause epidemics, much less pandemics and doesn't lead to severe illness. 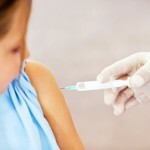 The yearly vaccine protects against two type A strains (H1N1 and H3N2) and one type B virus with specific viruses chosen based on scientific estimations of what the coming year's flu will most likely be. The CDC webpage titled "Key Facts about Seasonal Flu Vaccine" mentions three different flu shot varieties and one nasal vaccine; the shots are all made from inactivated viruses (one is a high-dose form designed for those of us 65 and older). The nasal spray is made from live attenuated (weakened) viruses and can be given to anyone age 2 to 49 who is not pregnant and is otherwise healthy. Now civilian hospitals in a number of areas have fired staff members who refused to get vaccinated for influenza. Some of those former hospital employees are threatening to sue, but my own viewpoint is the hospitals have done the right thing. The last thing I think they need is their own docs, nurses, techs and other staff infecting patients who are already ill with something that may make them more likely to have flu complications. What about pregnant women who work for the hospital? Should they get flu shots or does that place their fetuses at risk? I wasn't sure until I saw the 1-16-2013 edition of the New England Journal of Medicine. 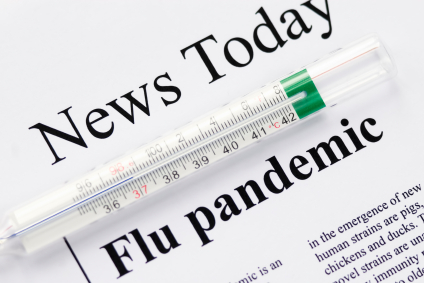 A Norwegian study performed during the 2009 flu pandemic had convincing figures: there were 117,347 eligible pregnancies and 54% of the women were vaccinated in their second or third trimester with substantial reduction in moms getting the flu. Pregnant women in this study who did have influenza had an increased risk of fetal death. Vaccination did not increase fetal mortality (and may actually have reduced it). The real problem with bad cases of flu is bacterial coinfection, often with "bugs" that colonize our nasopharynx area: staph aureus, strep pneumoniae and strep pyogenes. This highly significant flu complication was present in almost everyone who died in the great flu pandemic in 1918 and, even today, with our panoply of antibiotics, frequently occurs in influenza victims who require ICU care. A third of those needing such intensive care in the 2009 H1N1 pandemic had such a combined illness. The CDC has a superb webpage, "What you should know for the 2012-2013 Influenza Season," and I strongly recommend using that as a source. Here's hoping you get a yearly vaccination and don't ever get the flu. I re-read my last post a day after writing it and amended the first line, since I found it misleading. It was the worst flu pandemic ever, but I knew that smallpox, the Black Plague, AIDS, malaria and perhaps even typhus each have caused nearly as many or even more deaths over a period of years. I eventually found a rather strange, non-medical website with the "7 Worst Killer Plagues in history," and confirmed my belief that no other bacteria or virus had wreaked as much havoc in brief span of time as the 1918-1919 H1N1 influenza virus. I wanted to find out what happened to that highly pathogenic organism and, after searching the web, realized the PBS article on the "Spanish flu" was a good place to start. It mentions that the influenza virus was not identified until 1933 and that the actual genetic identity of the particular strain involved in that pandemic (as opposed to the basic type...H1N1) was not identified for many years. The influenza virus responsible for the 1918-1919 pandemic has had many descendants, none as deadly as their ancestor. In 1950, Johan V Hultin, a graduate student starting his doctoral studies in microbiology, got a clue from a visiting professor who suggested hunting for the virus in bodies buried 32 years prior in the permafrost of the Arctic. 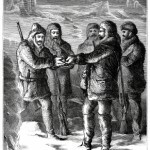 Hultin and his faculty advisor traveled to Alaska where flu among the Inuits had been especially deadly with 50 to 100% death rates in five villages. Gold miners, under contract with the Territorial government, had served as grave diggers in 1918-1919 and tissue samples were recovered from four bodies exhumed in 1951. Pathology slides fit with viral lung damage and, in some cases, secondary bacterial pneumonia. But tissue cultures from the samples did not cause disease in ferrets and no influenza virus was recovered. 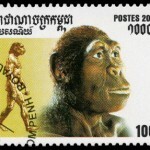 It wasn't until 1995 that science had advanced enough to for researchers to start the work necessary to identify the virus's unique features. Jeffrey Taubenberger, a molecular pathologist then working at the Armed Forces Institute of Pathology (AFIP), began a ten-plus-year-long project starting with autopsy tissues from the time of the pandemic that had been preserved in the National Tissue Repository. His project was stimulated by a paper published in the journal Science in February, 1995, in which preserved tissue samples from the famous British scientist John Dalton (often called the father of modern atomic theory) were examined. Dalton was color-blind and had donated his eyes at his death in 1844 to determine the cause of the defect; his DNA was studied 150 years later and the resultant publication gave Taubenberger the impetus to do the same with the flu virus. 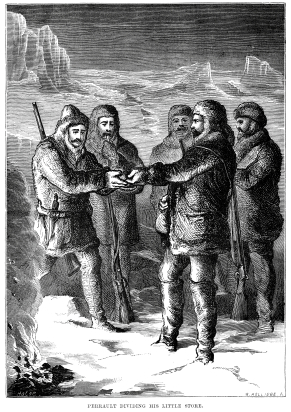 Hultin read the first paper from Taubenberger's group, wrote to him and eventually went back to Alaska to exhume more flu victims. 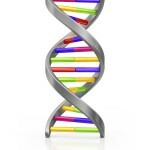 One was an obese woman whose lungs had the findings of acute viral infection. Samples of these permafrost-preserved tissue had RNA incredibly similar to those obtained from the AFIP National Tissue repository. And so began an amazing chapter in the history of virology. I read two NYT articles about medical diseases that conflate to a really frightening juncture. They led me to find background data from a medical website and to do a Google search on one lead author. Let's start with MRSA, the acronym for methicillin-resistant Staphylococcus aureus. Roughly 25% of us are staph carriers, but only 2% of us carry MRSA, the antibiotic resistant form that causes deadly complications so frequently and is so difficult to treat. 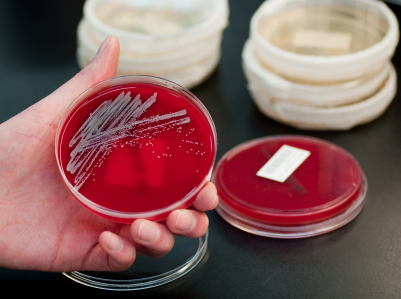 Infections with "ordinary" staph bacteria can be very serious, but respond, in most cases, to the drugs commonly used. The NIH has an excellent summary of MRSA issues and I'll paste in a link to it below. An August 11, 2011 NYT article mentioned that MRSA skin infections occur in those more prone to cuts and scrapes: athletes, the military and our kids among them. A professor of Medicine and Pediatrics at UC Davis Medical School is quoted as saying, "...in most communities, community acquired MRSA has become the dominant cause of soft tissue infection requiring emergency department care and inpatient care." In a previous post I noted that a neighbor ended up in our local ICU for a prolonged stay after a scape on his elbow resulted in a rapid spread of redness up his arm unto his chest. As you might surmise, this was an MRSA-caused illness. 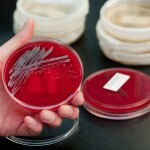 MRSA is a major urgent medical problem; almost 19,000 people died from this dire staph in 2005. In that timeframe most MRSA infections were felt to occur in immunocompromised patients. But now hospital admissions for skin infection in kids have climbed; the rate of these more than doubled between 2000 and 2009. The overall rate still seemed low, 9.4 cases per 10,000 children, but that translates into just under 72,000 kids being hospitalized in that one year. 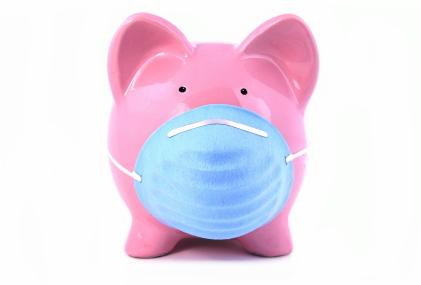 In the average year roughly 4,000 kids wind up in pediatric ICUs yearly because of severe flu infections and of course many times as many have mild cases of flu. 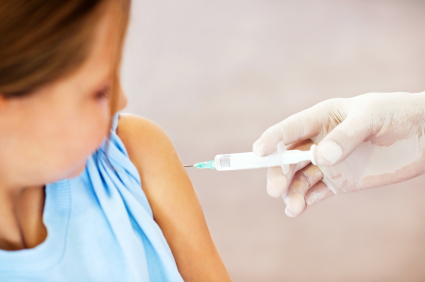 The current study, headed by an associate professor of Anesthesia at Harvard, looked at children who got flu infections during the 2009-2010 H1N1 epidemic and were admitted to ICUs in 35 different locations. Of those 838 youngsters, nearly nine percent, 75 of those kids, died; their median age was 6. More than a quarter of the children in the study were previously considered totally healthy; they didn't have asthma or a neurological disease; they were not immunosuppressed and didn't have other chronic conditions. 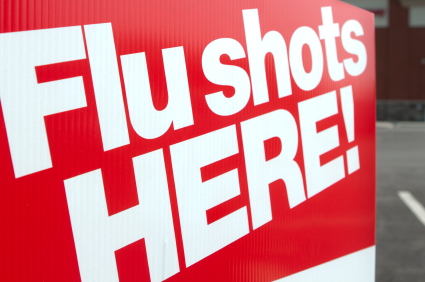 So of the total, 251 kids were otherwise healthy prior to getting the flu; 18 of them died. The only predictor of death in healthy children in this group was MRSA infection; if they had this co-existing risk factor their risk of dying increased eight times when compared to those who did not have MRSA. 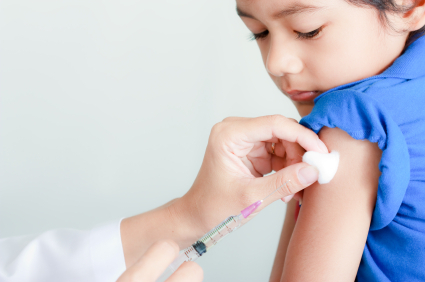 My take on the study, and that of the lead researcher, is it's time to make sure our kids and grandkids get vaccinated for flu on a yearly basis. 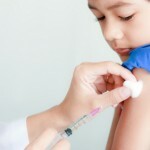 There are still people who never want their children vaccinated; physicians in almost all cases would disagree with them. Talk it over with your own pediatrician.